Vintage and chic. 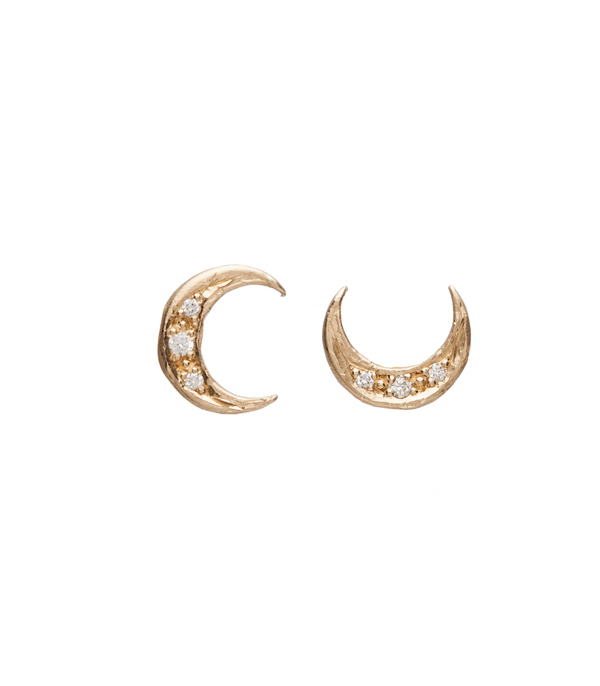 These skinny 14K gold crescent moon stud earrings accented with 3 tiny diamonds (0.05cttw) are edgy but still girly and fun. These elusive earrings would make a delightful gift perfect for the unconventional gal who loves accessorizing. Wear them with your favorite pair of jeans or that romantic summer dress and remember to always shoot for the moon! Categories: Earrings, Earth and Sky, For the Bridesmaids, For the New Mom, Holiday.